newly set up 75 gal SW, 30 lbs of fiji lr, 30lbs of lace rock, 90 lbs of course/fine argonite sand, rena canister filter, 48" 4x65 watt pc, red sea turbo berlin skimmer. 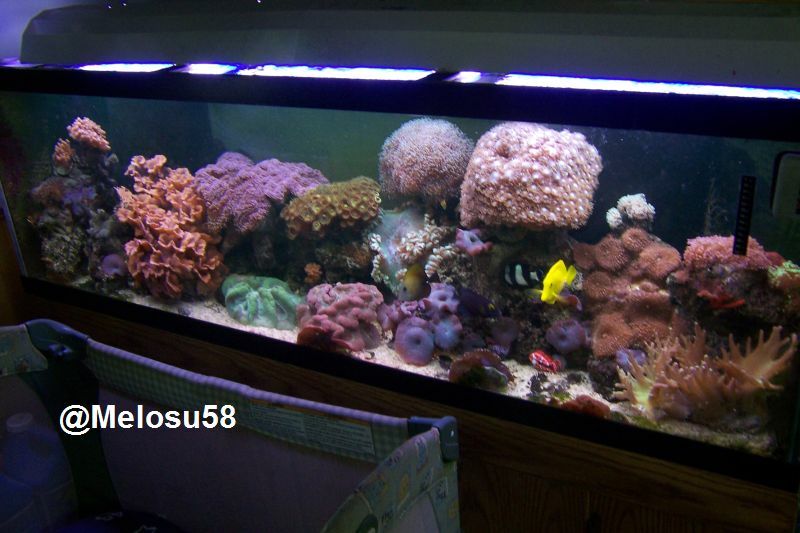 Inhabitants- 2 percula clown fish, 1 muchroom coral, 2 leather corals, and 2 mystery corals. Your best bet, and I know it sounds bad, but use the well water if you have a dechlorinator. Also, if you have a Brita filter or the like, that will tak out the copper, chlorine and other nasties. He`s got well water so it should not have chlorine in it unless he adds it himself. you dont want it to go down too fast. A gallon or two today should be OK till store opens.